Santa Cruz County’s Project Thrive, a project of the countywide Youth Violence Prevention Task Force, is a multi-sector collaborative that is focused on addressing gaps in how the community identifies, supports, and serves young men and boys of color between the ages of 16-24 that reside in the communities of Watsonville, Santa Cruz and Live Oak. 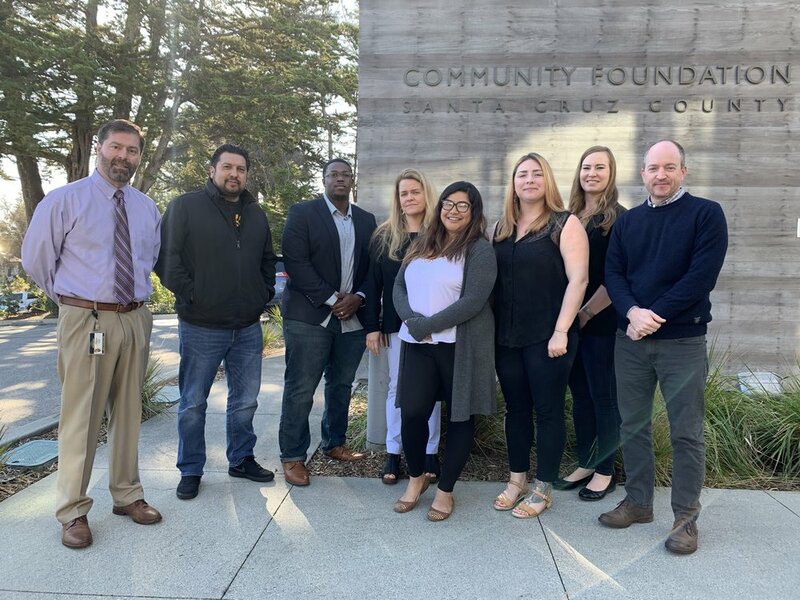 Project partners include Santa Cruz County Probation, Applied Survey Research, Community Action Board, Santa Cruz County Behavioral Health, the County Office of Education, and United Way of Santa Cruz County. Project Thrive is taking a diversified approach to better meet the needs of this population and their families by providing a combination of direct service approaches as well as supporting systems capacity building to create more trauma informed and equitable web of support for these communities. The direct service component consists of a street outreach program that is working in partnership with behavioral health to provide both clinical and general support services. In transforming systems, Project Thrive is working on a number of strategies including the development of a coordinated critical incident response system, promoting restorative justice in schools, and convening stakeholders for trainings, workshops, and ongoing peer learning and support sessions to advance ideas and tools on the issues of trauma-informed systems, culturally responsive organizations, and addressing implicit bias. What have you found to be the biggest need for this population and how has your program addressed that need? Since the work of Project Thrive began in 2015, the need to prevent youth and families from falling through the cracks and supporting them in getting their needs met have been top priorities and have informed the direct service and systems strategies that the project has pursued. Recognizing that individuals and families need trauma-informed case management that promotes wellbeing and success in the wake of violence, but that there is also a need to change the ways in which trauma-inducing systems are impacting the community’s wellness as a whole. By utilizing a public health approach and working with systems partners, the project is seeking to shift the culture and narrative around these communities, putting an emphasis on prevention and early intervention, and intentionally focusing on issues of equity. What are you proudest of regarding your work through the SMSV grant? The Project Thrive team is proud to be addressing issues of equity head on and are excited to see the commitment from other system partners in being a part of this work. The project convenes these stakeholders, known as the Leadership Cohort for Advancing Equity and Cultural Responsivity, on a semi-annual basis to have courageous conversations, participate in peer learning, push each other to do things differently, and collaboratively problem solve. The variety of service providers, number of participants, and consistency in participation has been very promising and Project Thrive is seeing a true sense of shared ownership in moving the needle on these issues. Evaluation shows that participants want more time dedicated to this work, wanting to meet more often and for longer sessions. It has been expressed that this is the only place they feel like work is actually happening on these issues. 4. What new relationship or resource have you found to help move your work forward? Through working together on Project Thrive, the project partners have made great strides in deepening and strengthening their relationships and ability to effectively work together. The dynamic of this team has been instrumental in moving this work forward. Collectively this team has been able to increase trust with one another, which has led to increased transparency and accountability. They have strengthened their skills in processing through difficult issues and have intentionally looked at lessons learned to continually improve. The theme of strengthened relationships has also carried beyond the leadership team to other partners, including law enforcement, which has created the opportunity to do things differently in all of our work. What is something positive a client or partner said about your work related to the SMSV grant? Through the work of the Leadership Cohort for Advancing Equity & Cultural Responsivity, participants have made commitments to develop equity committees in their organizations, diversify their boards, train all of their staff on implicit bias, and implement assessments to identify areas to improve. - “Thanks to these programs, they keep people from being discouraged when they’re getting rejected for jobs.” -- a client with a felony record who recently found work after a long period of unanswered job applications. - “They’re super reliable, and always got my back. They help me see the big picture.” -- Street Outreach client, on his CAB case managers. What have you learned that you will carry with you as you continue this work? As a team, through doing the work of Project Thrive, we have learned that systems work takes strategy and patience. Managing the expectations and hopes for quick results for ourselves and other stakeholders is an ongoing process, but we are seeing that when we tackle tough topics collectively with intentionality and thoughtfulness we can create non-polarizing spaces for courageous conversations and are seeing, in real time, progress unfolding.